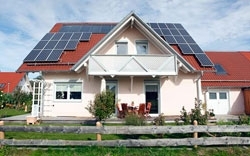 Are you looking at ways you can GO GREEN with your home? As a great home builder, you have to be environmentally responsible. Team NorthRock will recommend GREEN building practices when it makes sense for you and your home. It is easier to do your part than you think. We use Trex Eco Green products. Serving Vancouver, Fraser Valley, Sunshine Coast, Kamloops and Sun Peaks, B.C.